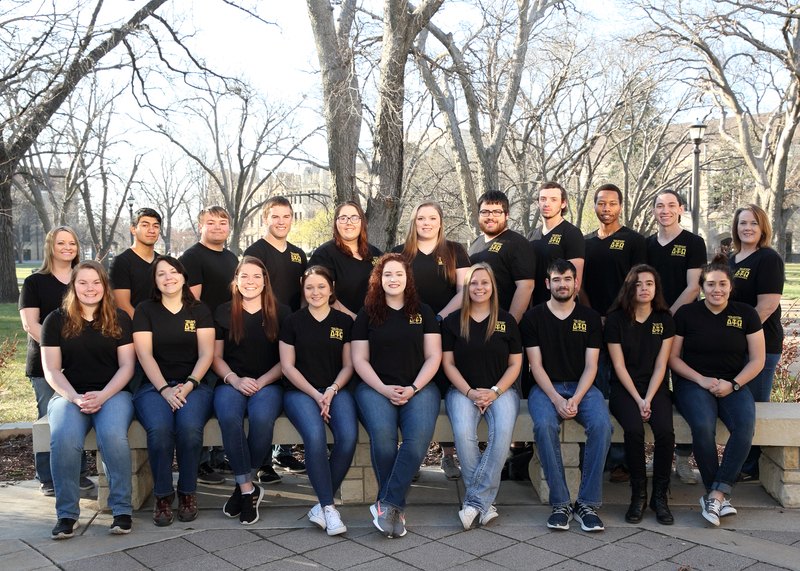 HAYS, Kan. – Students in the Criminal Justice Club – Delta Tau Omega, Fort Hays State University’s chapter of the American Criminal Justice Association, won nine awards, including four first-place awards, at the association’s recent national conference in Cleveland. The conference included written competitions on topics such as corrections, juvenile justice, police management and crime scene investigation. Also included were paper competitions, which requires an original manuscript about an issue related to criminal justice, and a lip sync competition. The chapter also visited the FBI regional headquarters, toured the Lutheran Metropolitan Ministries Shelter, Cuyahoga Hills Juvenile Correctional Facility, and the Cuyahoga County Jail and Sheriff's Office. Members performed volunteer service while at Lutheran Ministries and the juvenile correctional facility. Lower Division (freshman, sophomore) – Brooke Luedke, Scandia sophomore, third place. Upper Division (junior, senior) – Andrea Jamiel, Hays senior, third place. Lower Division – Beatrice Walsh, Thornton, Colo. freshman, third place. Upper Division – Anneka Sundell, Salina senior, first place. Upper Division – Jamiel, first place. Professional Division (faculty or members who work full time in the criminal justice system) – Dr. Tamara Lynn, assistant professor of criminal justice, first place. Lower Division -– Tayler Petersen, Grainfield sophomore, Breanna Markley, White City freshman, and Walsh, honorable mention. Upper Division ­– Jamiel, first place. The prize is $150 and publication of the article in the next edition of the American Criminal Justice Association journal. Lip Sync Competition – All members of the group participated in the lip sync competition and placed third: Casey Higgins, McPherson senior; Jaden Flower, Cawker City senior; John Ramirez, Oakley junior; Abby Escamilla, Weskan sophomore; Luedke; Jamiel; Sundell; Walsh; Petersen; and Markley.